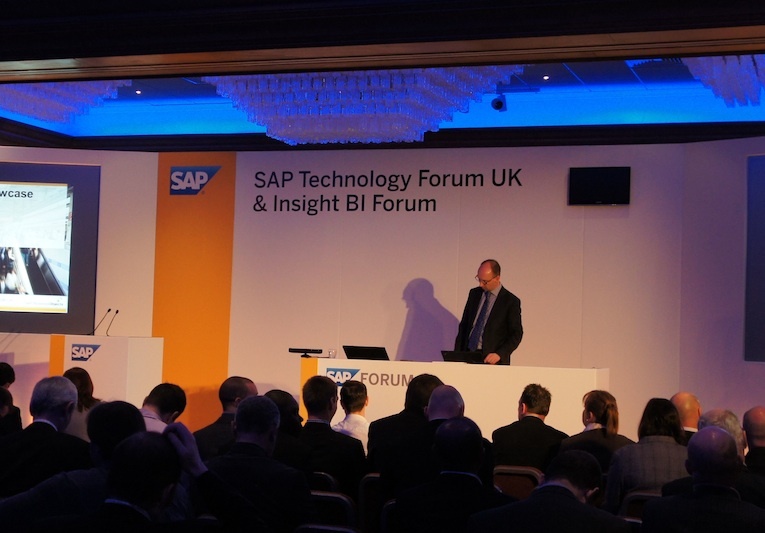 At a time when lots of my Mentor colleagues are at SAP’s internal DKOM events, I had the opportunity to attend SAP’s semi-public UK Technology Forum in St Albans on March 21st and spent day 1 there, mainly focussing on information around User Interfaces and Netweaver Gateway. 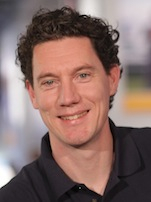 As a regular TechEd visitor, events such as this are not providing you with a raft of new items around SAP products, but instead give you with a gut feel for the local customer and developer community. User Interface and User Experience: demos and presentations were around HTML5 – either driven by Sybase Unwired Platform or developed straight using HTML5 and CSS3. For example, Keytree demoed an interesting live retail app for iPad that uses HTML5, hooked up to a SAP retail backend via homebuilt RESTful services. CompriseIT demoed a new SAP tool to generate native iOS consumption UIs for Netweaver Gateway services. Gateway: I liked that most presentations clarified that not just SUP can be used for consumption, which was in contrast to information available during TechEd 2011 in Madrid, where participants often thought SUP is the only way to consume Gateway. I attended two interesting sessions by SAP labs’ very own Yaad Oren, including a Kinect-enabled Gateway solution and a Siri-based prototype called SiPi (using Open Ears). In the latter, a video showed a SAP CRM lead being created using iPhone voice recognition and later an image was added to the CRM business partner by searching the person on Facebook, based on facial details. This is a very likely future use-case, yet it still makes me slightly shudder! (Disclaimer: the app is only a prototype!). 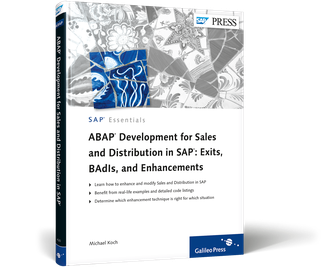 As far as a wider developer engagement for Gateway is concerned, it seems that a reliance on the SAP partnering framework is the chosen path for now. 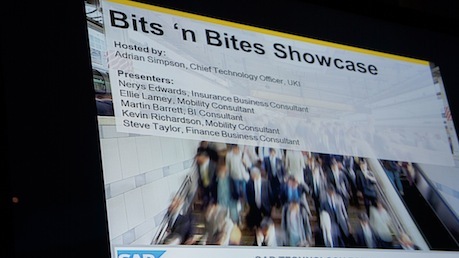 Whether this will hamper the “billion users” ambitions SAP has remains to be seen. This entry was posted in Blogosphere, Conferences, SAP Market. Bookmark the permalink.